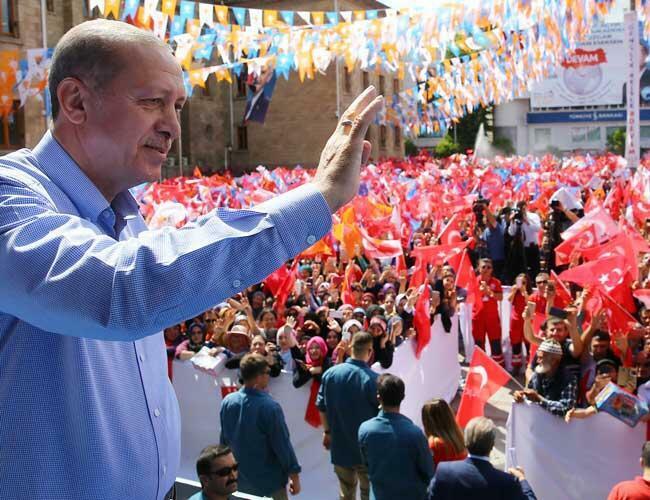 Turkish President Recep Tayyip Erdoğan responded to criticism by opposition groups on the weakness of the Turkish lira against the sharp fluctuations in exchange rates on last May  "Some talk about exchange rates and what not, leave them aside, they can not hit us with exchange rates, they can not beat us with manipulation," Erdoğan said at a campaign meeting in the western province of Isparta. "My brothers, those of you who have euros and dollars under your pillow, could invest your money in lire? "he said in the eastern province of Erzurum. 6 percent of its value The dollar reached 4.92 against the US dollar on May 23, before making some losses later this week after the central bank raised interest rates. Ankara has repeatedly said that the decline in the lira was a "conspiracy" by nameless foreign powers to weaken Turkey. "When the financial sector plays such games against our investors and entrepreneurs, you know you will pay a high price," Erdoğan said on May 26. "His hands are not tied […] It will do what is necessary "said Şimşek TV interview on the private news channel NTV. He also said the bank had the full support of the government, adding that its decision to raise interest rates on May 23 to prove its independence. The Turkish central bank has taken a strong step that had immediate effects [on the market]"said Şimşek. On May 23, the central bank raised the late interest rates for the liquidity window, the interest rate from 13.50 to 16 , 50 percent loan ratio was held at 0 percent On May 25, the bank set exchange rates for rediscount loans for export. 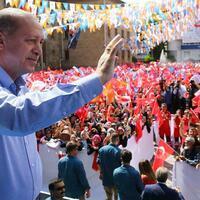 Erdogan accused the opposition candidates and parties of being destructive rather than developing constructive projects. The mega-project Kanal Istanbul is trying to build a Bosporus-like canal that crosses the European side of Istanbul in order to increase maritime traffic from the Black Sea to the Sea of ​​Marmara and to make the European side of Istanbul an island. The Main Opposition The Republican People's Party (CHP) candidate Muharrem İnce promised to abandon the project.